The Assignment: Make a beat with new drum machine sounds provided by other Junto musicians. Deadline: This project’s deadline is Monday, August 20, 2018, at 11:59pm (that is, just before midnight) wherever you are on. It was posted in the afternoon, California time, on Thursday, August 16, 2018. Step 2: Check out the tracks in Step 1. Choose one track whose opening drum machine sounds hold the most appeal for you. Then confirm the track is downloadable. If it isn’t, either get in touch with the musician who made it, or choose another track. Step 3: Make an original piece of music employing the sounds from Step 2. 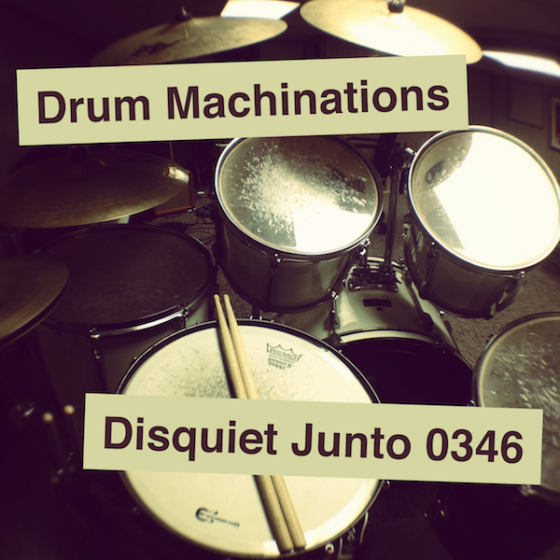 Step 1: Include “disquiet0346” (no spaces or quotation marks) in the name of your track. Step 2: If your audio-hosting platform allows for tags, be sure to also include the project tag “disquiet0346” (no spaces or quotation marks). If you’re posting on SoundCloud in particular, this is essential to subsequent location of tracks for the creation a project playlist. Title/Tag: When posting your track, please include “disquiet0346” in the title of the track, and where applicable (on SoundCloud, for example) as a tag. Major thanks to Matt Nish-Lapidus and Jason Wehmhoener for having helped put together this and the preceding project.